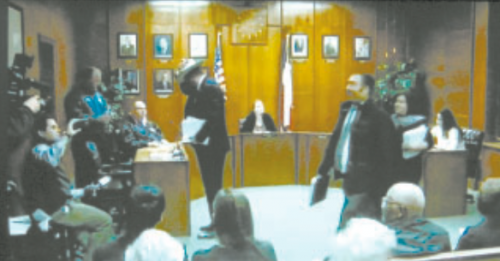 GALENA PARK – A special called city council meeting dissolved into near chaos on Monday afternoon, when members of the city commission or council, and the Mayor were unable to resolve a dispute over authority to sign checks for city obligations. This is the latest disagreement that Mayor Moya has had with council members and the city administrator Robert Pruett. The mayor has claimed, since taking office in January, that the council and administrator have been conducting city business in a way that violates the city charter. She has presented copies of the charter at council meetings, highlighting instances of non-compliance. Mayor Moya also claims her signature was illegally removed from the accounts, but city officials say she refused to put her name on the document. The bank, Comerica, requires checks to have two authorized signatures to be honored and paid. In order for the city to continue paying its bills, Council voted a resolution in July to allow the mayor-pro tem, Danny Simms, to sign the checks in lieu of the mayor. This arrangement was approved by the city attorney, Jim DeFoyd, and accepted by the bank. The city secretary must also sign, or as a backup the city administrator. Suspect wanted for bomb threatened in Bank of America robbery. The FBI needs the public’s help identifying a bank robber who threatened to have a bomb during a midmorning robbery of a Bank of America branch located inside an office building at 12605 East Freeway in Houston, Texas. Surveillance photographs of the bank robber are being released and a Crime Stoppers reward of up to $5,000 is being offered for information leading to the bank robber’s identity and arrest. At approximately 10:05 a.m., the man entered the bank and approached a teller. He passed the teller a note threatening to have a bomb. Tellers gave the man an undisclosed amount of cash which he placed inside a blue vinyl zippered bag. He left with the cash bag in his hands. Several customers were inside during the bank robbery, but no one was physically hurt. The bank robber was described as a Hispanic male, about 5’3” – 5’5” with a stocky build. 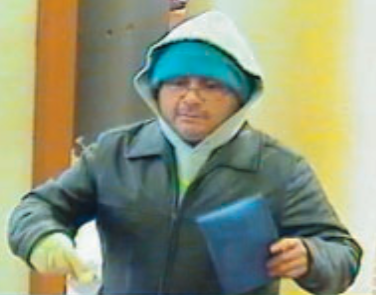 He wore a dark colored leather-type jacket with a grey hooded sweatshirt underneath, a blue colored knit hat, reading glasses with wired frames, and one white glove covering his right hand during the robbery. He also carried a blue vinyl zippered bag into the bank and left with the bag full of cash. Crime Stoppers is offering up to $5,000.00 for information leading to the charging and arrest of this robber. If you have information about this case, please call the Crime Stoppers tip line at 713-222-TIPS (8477), or the Houston office of the FBI at 713-693-5000. 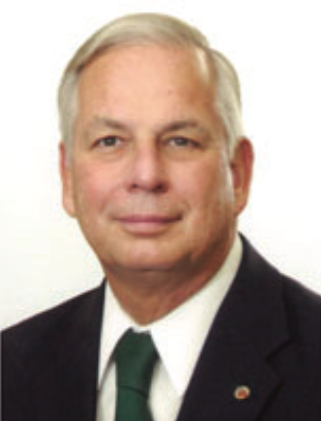 (Washington, DC) – On Thursday, January 8, Representative Gene Green was elected by unanimous consent to serve as Ranking Member of the Committee on Energy and Commerce’s Subcommittee on Health for the 114th Congress.